The 1963-1964 Championship season - LFChistory - Stats galore for Liverpool FC! Way back in 1959 when a fellow called Bill Shankly pitched up at Anfield, Liverpool Football Club was a backwater as far as the rest of the footballing world was concerned. True, they had won the First Division Championship as recently as 1947 but that was the first full season after the ending of the Second World War and it was generally felt that virtually any of the sides who competed that season could have come out on top depending on how players who had taken part in the war could adapt to professional sport again. Liverpool’s players adapted pretty well and the fact that the club was able to afford to sign Albert Stubbins from Newcastle to reinforce a strike force that consisted of Jack Balmer, Cyril Done and, to a lesser extent that first post-war season, Billy Liddell, saw the club claim the old First Division title. Amazingly that Championship was not confirmed until 14th June at the end of a season that had been severely disrupted by one of the worst winters of the 20th century. Stoke City had been in contention for most of the season but had had more games cancelled because of frozen pitches than most and their season came to a climax a good two weeks after most clubs had completed their fixtures. Stoke had to beat Sheffield United on 14th June, when most of the rest of the country’s footballers were on their summer holidays, to nick the title from the reds. To their eternal credit Sheffield United won 2-1 and everything seemed to be lovely in the garden that was Liverpool Football Club. Sadly, the reality was rather different. Most of the team were getting on in years and although attendances were always near to capacity somehow the club never had much money to invest in new talent. We got to the FA Cup Final in 1950 where we lost to Arsenal and things went downhill pretty rapidly for the next few years. Relegation eventually caught up with us in 1954 and there followed 8 frustrating years that only ended when the great Shanks ushered us out of oblivion in 1962. Our first season back in the top division was much better than any of us dared to hope. We finished 8th and suddenly we had become a player in the big league again. Eighth, of course, was not good enough for Shanks and when he announced at the end of that season that he was confident that he had the basis of a squad good enough to go all the way to the top of the division we all thought either a) he was mad or b) he would be going out to the transfer market with barrow loads of cash to bring a raft of new players in. In the event he proved us wrong on both accounts. There were many who genuinely felt that there was something of a madman about him, so all embracing was his devotion to his team. I had quite a bit of contact with a few of the sixties side and they all said that the great man was incapable of talking about anything other than football and specifically Liverpool. 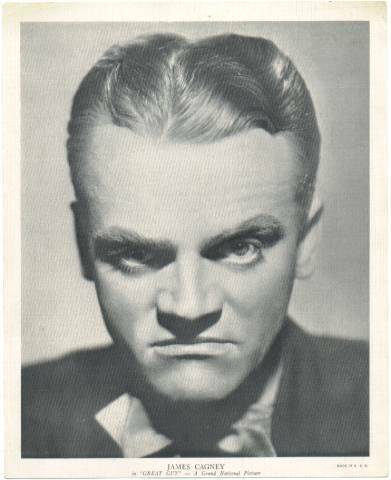 I think that he was a driven man with little else to entertain him, apart, of course, from boxing and Jimmy Cagney films! He certainly wasn’t mad (although it is said that the line between being a genius and being a madman is extremely narrow I prefer to remember him as a footballing genius) and he didn’t bring in a host of new players. In fact he bought only one player during the summer of 1963. And what a player he turned out to be. Peter Thompson signed from Preston North End for £37,000 and was, as the saying goes, the last piece in the jigsaw. Shankly’s comment that he had a squad good enough to win the Championship (as we knew it at the time) was not strictly true because he didn’t ‘do’ the squad system. He forged a team and, once he had got that team playing to his satisfaction he stuck with it come hell or high water. Vital players in his team were not allowed the luxury of an injury and many were the times that key players were sent out to play after having been given a painkilling injection. The unfortunate outcome of this policy is that many of the successful players of the sixties and seventies are now labouring under various physical handicaps. Evidence of his mantra that the team was everything was displayed in the appearance figures. In the 63/64 league season there were 3 ever presents, 3 others who played 40 games or more and 4 who played over 30 games. This. remember, was a time when there were 22 teams in the division so there were 42 league fixtures alone and no substitutes. The season, however, did not get off to a good start, notwithstanding the fact that Blackburn were defeated in the first game of the season at Ewood Park. Anfield had become the ‘bastion of invincibility’ that Shankly had predicted and defeats at our hallowed home were few and far between. Or at least they had been before this particular season. The first three home games were against Nottingham Forest, Blackpool and West Ham and all three were lost by the same scoreline, 2-1. It was reported that, after the third defeat, Shankly promised the board that before the season ended Liverpool would win a home game! Three away victories during these early weeks helped to balance things a little but a comprehensive defeat against Sheffield United at Bramall Lane meant that, after 9 games, the reds had lost 4 and drawn 1 to give them the measly total of 9 points, bearing in mind that, in those days, it was only two points for a win. 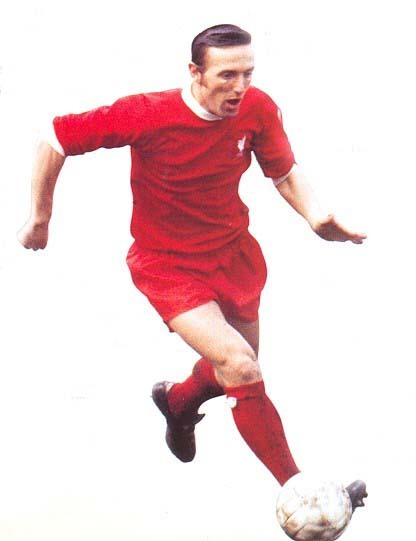 Peter Thompson inspired Liverpool to Shankly's first ever title! Those 9 points put us in 10th position level with, amongst others, Everton who had 2 games in hand! Had anyone suggested that Saturday night that Liverpool would end the season as League Champions they would have been certified on the spot. The 10th game was, as it happened, against Everton at Anfield and it was a game that has endured in my memory for a variety of reasons the most memorable of which I am unfortunately unable to put on record (for reasons of public decency!). However, when I say that Ian Callaghan scored both goals in our 2-1 victory no more need be said about a very significant win and it turned into a springboard for a run of 5 consecutive victories which propelled us up the table so that by the middle of October we were, almost unbelievably, in 3rd position, 2 points behind Sheffield United and with a game in hand!